Reno Tahoe Event Photography was founded by Court Leve, a professional photographer based in the Lake Tahoe region. With a background in photojournalism, editorial, commercial, wedding and extreme sports photography Court has been able to identify what is important to clients, whether it’s telling a story or capturing a once in a lifetime moment. Recognizing a need for an agency that caters to local and visiting companies alike, Reno Tahoe Event Photography was formed as a turnkey solution for anyone looking for photography or video services in the greater Lake Tahoe region. We have a network of photographers and videographers that have been vetted that will be a great fit for your event. Court Leve started Reno Tahoe Event Photography because he saw an opportunity and need in the greater Lake Tahoe region to create a agency offering reliable, professional photographers and videographers with a great eye for telling your story. Court has been living in the Lake Tahoe area for over a decade. He has worked for many of the local newspapers and magazines in addition to working as a commercial photographer. 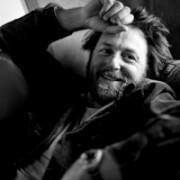 His work has been published in virtually all of the regional publications in the Lake Tahoe area in addition to national publications which include; National Geographic Adventure, Powder, Ski, Skiing, Freeskier, Parade Magazine, ForbesLife Mountain Time, Spirit Magazine, Southwest Art and The New York Post. His clients include The Ritz Carlton Lake Tahoe, LinkedIn, Warren Miller Entertainment, Canine Hardware, Points North Heli-Adventures, Astro Gaming, Clear Capital, Cebridge Communications, Squaw Valley, Panoptyx, Plumpjack, Zeal, Kombi, Helly Hansen and more. View some other images by Court or have a look at his wedding portfolio. At 17 Greg was handed his first 35mm from his mother, a camera he used as a young adult to photograph all of his travels. That camera and his interest in photography landed him his first assignment launching his career. As his skills developed, so did his client list. Photography and production became a commercial endeavor and Greg began producing content for companies such as Red Bull, Powder Magazine, TGR, Warren Miller, Grundens North America, Contour Cameras, High Fives, Volkl Skis and many other notable names within the action sport industry. Greg continually finds great rewards in the creative process. Collaboration being the most important and exciting aspect. Working with talented, driven individuals on a daily basis not only pushes Greg’s personal creativity but has opened the door to further educate himself through the creative process. Sky is a video producer out of Lake Tahoe and has been creating videos for over ten years. Her experience includes producing shows for Tahoe TV, ski shows, real estate promotional videos, restaurant, golf, retail stores, and adventure shows. Sky has been involved in the international filming and production of top selling surf and snowboard films, freelance work for Fox Sports, Warren Miller, corporate event and commercial work, as well as production of high-end wedding videos. She loves finding something different and special about her clients and reproducing that uniqueness on film. Her goal is producing videos that speak to the viewer and keep them engaged. Sky is not afraid to try something different and to help her clients stand out. This is her passion. Sky Prides herself on excellence and has won various awards and recognitions. Stephanie Martin started her career in 2003 at the Elizabeth Glazer Pediatric AIDS Foundation where she worked in the event planning and marketing departments assisting with planning annual fundraising events with celebrities, restaurants, TV networks, and other entertainment organizations. After graduating from Loyola Marymount University with a Bachelor of Arts in Communications Studies and a minor in Business, she ventured to Lake Tahoe and continued to cultivate her event planning career in the mountains with an emphasis on producing customized corporate, social, and wedding events. From intimate dinner parties to week long excursions, she is renowned for her unflappable demeanor, fine attention to detail, and eye for design. Her work has been recognized in regional, national, and international publications including Grace Ormonde, Wedding Style Magazine, Tahoe Quarterly, The Knot, Style Me Pretty, 100 Layer Cake, Destination Weddings and Honeymoons, Reno Magazine, Utterly Engaged, The Wedding Chicks, and several others.